Everyone knows somebody who appreciates the good things in life, both in their home and on the go. They set the standard for what’s the latest, what’s the greatest and what’s cool. We call these friends the tastemakers. They know something cool when they see it—and luckily, so do we. Here are a few of the coolest trend-setting gifts for all the different kinds of tastemakers on your list. This kind of tastemaker never lets a party lag, and neither does the RS Folding Ping Pong Table. 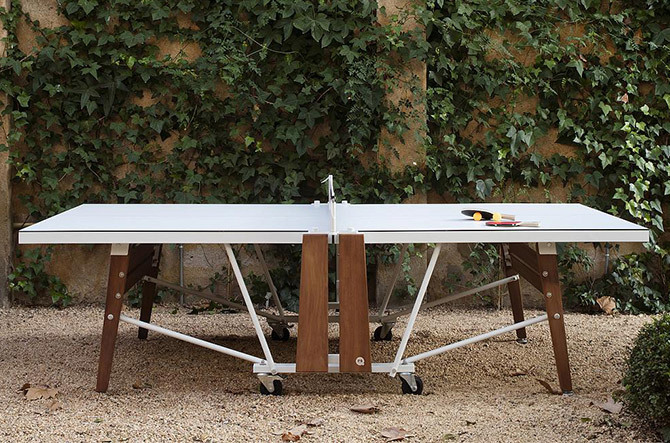 In fact, this modern ping pong table might start the party to begin with. When not in use, the whole table folds up to fit in a space just 28 inches wide. Bauhaus design and reading books; together, they’re so retro that they feel new again. 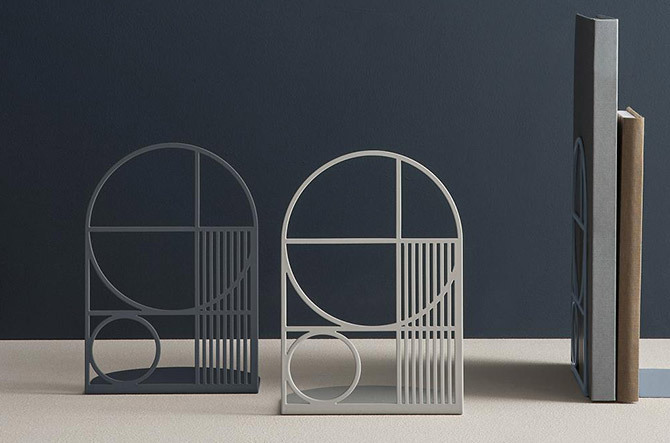 The Outline Bookend from Ferm Living pays tribute to both with its laser-etched pattern and hefty, upright stance. When it comes to a dentist appointment or discovering the latest modern designs, punctual tastemakers are always early. 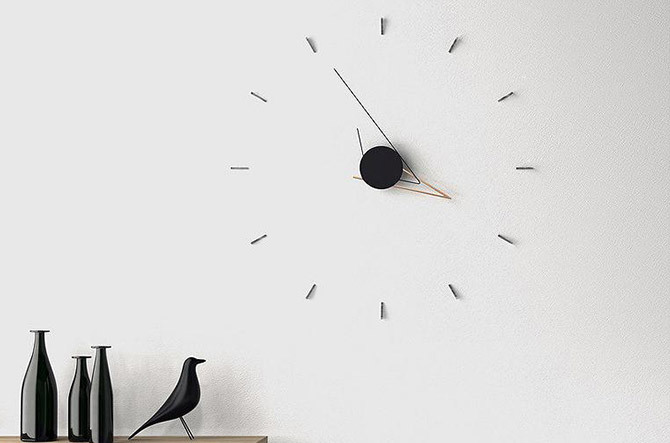 This wall clock keeps on the cutting edge with its minimal, angular body and movable markers. Holiday tastemakers are out to change what “holiday traditions” mean. 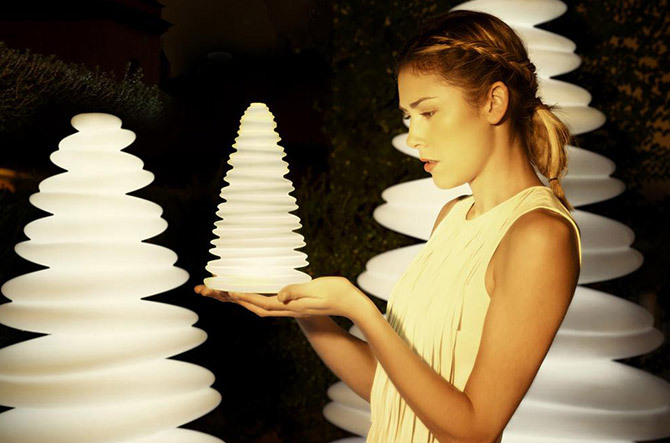 The Vondom Chrismy LED Trees are magically modern and keep things feeling bright and warm during cold, dark winter nights. When you’re a tastemaker, you even make kicking back look good. 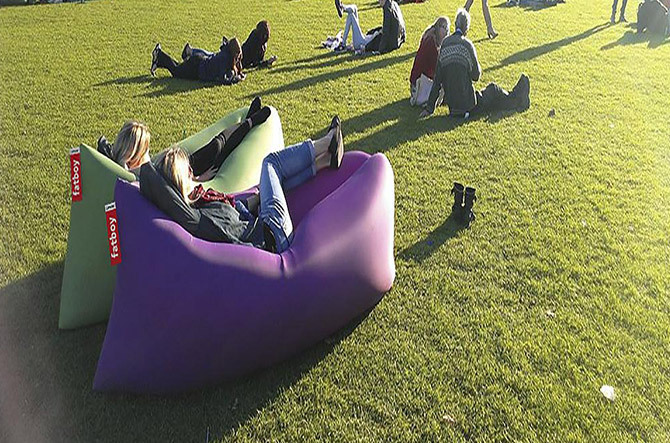 Out of a little bag, the Fatboy Lamzac inflates in moments into a comfy full-sized lounge that goes anywhere you do. This tastemaker likes to support great causes while having a great time…and drinking a great wine. 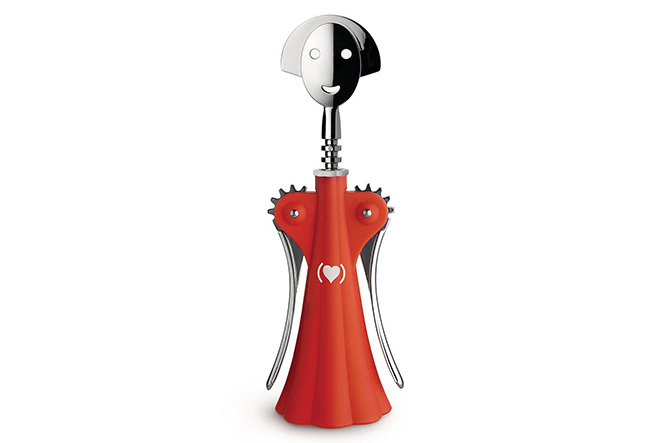 The two large Alessi (Product)Red corkscrews, Alessandro M. and Anna G., are bedecked in red with the (Product)Red heart logo. Not only are they impressive in performing their wine-opening tasks, but proceeds from the purchase of each goes to the GlobalFund to Fight AIDS. The trend-setting globetrotter loves bringing some of the conveniences of home with them on the road. 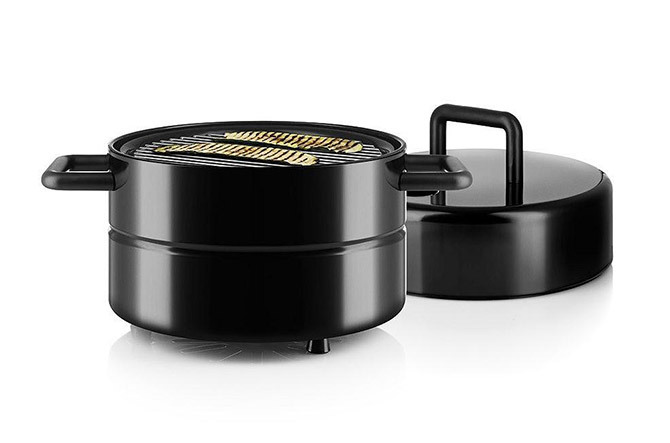 The To Go Grill is a conveniently compact stack of glossy black steel perfect for tasty charcoal bbq’ing. This tastemaker enjoys the thrill of the fun modern design hunt. 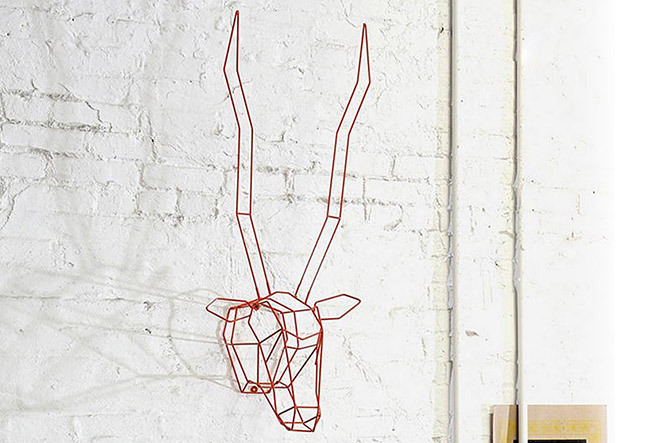 The metal wire Trophy Heads by Bend Goods are quirky and graphic décor sure to whet the tastemaker’s seemingly insatiable appetite. First, the neon pink color catches the eye. 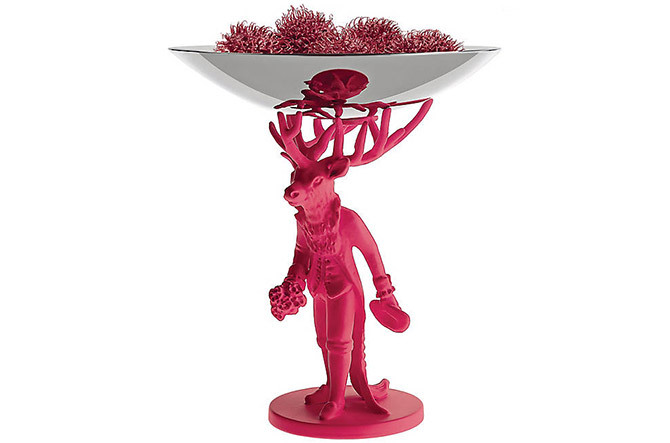 Then you see that it’s a bowl resting on the antlers of a deer in formal wear. If this doesn’t start a conversation with your attention-grabbing tastemaker, nothing will. The artful tastemaker loves finding new and unique ways to dress up their home, tell a part of their story and hopefully to discover some amazing talent in the process. 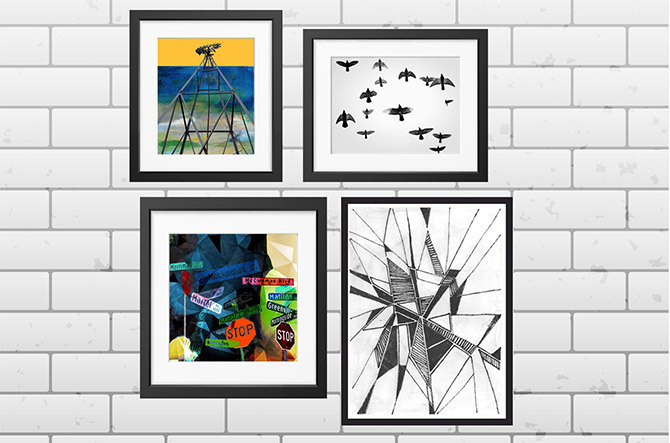 High-quality wall art prints by new and up-coming artists take care of all three.